Would-Be Sellers Become Reluctant Landlords The rental market provides an alternative for many owners whose homes aren't selling during the housing downtown. But being a landlord can have unanticipated challenges. In Chicago, there's a hot market for condominium rentals, which means owners who weren't able to sell have a shot at covering their costs by becoming landlords. In this sagging economy, homes can sit on the market for weeks or months. So, would-be sellers often move on, and instead of handing the keys over to new owners, they hand them to tenants. Sometimes that goes well — sometimes not. "This is the new reality," says Chicago Realtor Frank Maguire. "Our market is, you might sell your home or you might not. There's a whole world of people who are unintentional landlords." Unintentional, accidental, reluctant, never-in-the-world-thought-they-would-be-a-landlord landlords. That's the fate of many a homebuyer trying to sell these days. Sometimes it works out well. Maguire's next-door neighbor, Paul Williams, is a good example of this trend. Williams, along with his wife and young daughters, rent a home in Rogers Park on Chicago's far north side. A job change brought them to the area. They also own a two-bedroom bungalow in Oakland, Calif., that they bought at the height of the housing boom. "We bought it at just over $500,000," Williams says, "and the last appraisal was at $260,000." Once they heard that appraisal, Williams says, he and his wife decided not to sell but instead to rent their home to a friend of a friend. "I'd owned rental property before and had almost a problem every month, and so was not very excited about the idea of becoming a landlord again," he says. "But we've been very fortunate to have a great tenant, knock on wood. Thus far it's been very uneventful." There has been a big jump in the number of single family homes shifting into the rental market since the country's housing boom started to bust. Eric Belsky with Harvard's Joint Center for Housing Studies says during the boom years between 2001 to 2005, about 700,000 single-family homes became rentals. The latest survey tracking housing units from 2005 to 2009 showed a significant increase. The only thing I knew was that if something was broken, I would have to fix it. I just assumed that everyone would be a good renter. I approached it in a very naive fashion. According to Belsky, 2.3 million single-family homes "flowed from having been owned to being rented, and they're not just being offered for rent, but they're actually occupied by renters." In some areas, condominiums are the big market. Sellers still often test the market first and put their condo up for sale in hopes of getting a good deal. 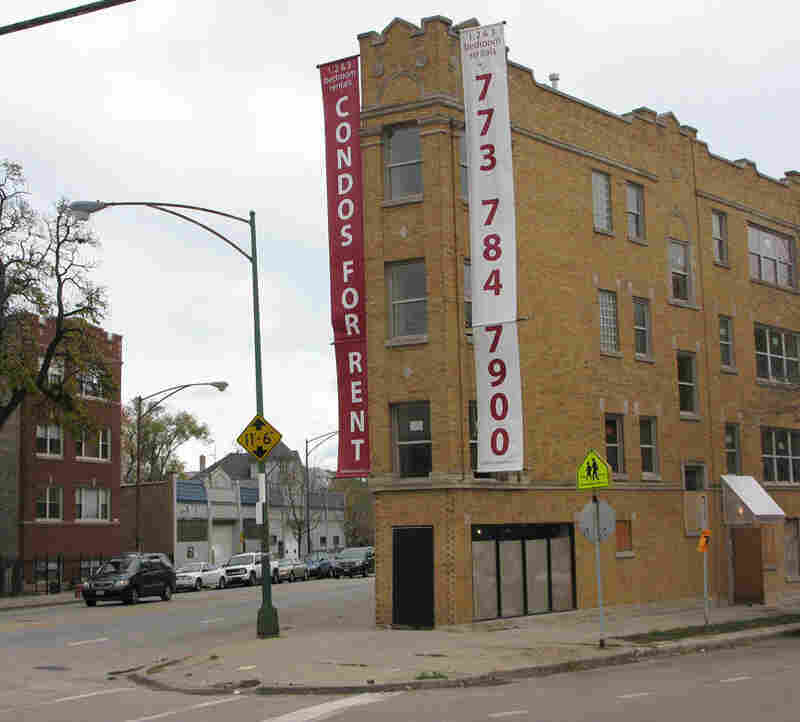 Many end up renting their units, says Ron Abrams with the Chicago Association of Realtors. "The good news for the owners or the reluctant landlords has been that the rental market has been so good, they've been able to cover pretty much all their expenses and just been able to basically go on with their lives," Abrams says. Of course, some condo associations don't allow rentals or have certain restrictions. And sometimes it just doesn't turn out so rosy. "My first time being a landlord turned into a nightmare," says Jeanette Masterson, who admits that if she knew then what she knows now, she may never have become a landlord. "The only thing I knew was that if something was broken, I would have to fix it. I just assumed that everyone would be a good renter. I approached it in a very naive fashion." For about three years, Masterson lived in a two-bedroom condo that she bought for $173,000. After she married, she moved into her husband's larger condominium. "Originally my condo was on the market for eight or nine months — a lot of showings, no offers," she says. "After we weren't able to sell it, we decided to rent it out to bring in some income to help cover the two mortgages that we now had together." The rent covered Masterson's mortgage and assessments. The tenants paid all of the utilities. They called often for small things, and then wanted to break their lease. It turned into a legal quagmire and a battle over the security deposit. When the saga came to an end, Masterson tried again to sell her unit. It stayed empty for almost a year. A real estate agent helped her find a property management firm, which rented the condo right away. They're still losing about $600 a month, but at this point, Masterson says, they're just trying to minimize their loss and they're able to do it with a lot less stress. "I'm not on pins and needles everyday wondering if I'm going to get a call about something stupid," she says. "Again, as a landlord that's something I had to accept, but now I don't have to worry about it, having a property management company working for us, managing my condo." Masterson says her best advice to accidental or reluctant landlords is to be prepared, because it's not easy.